Both sexes fully winged. 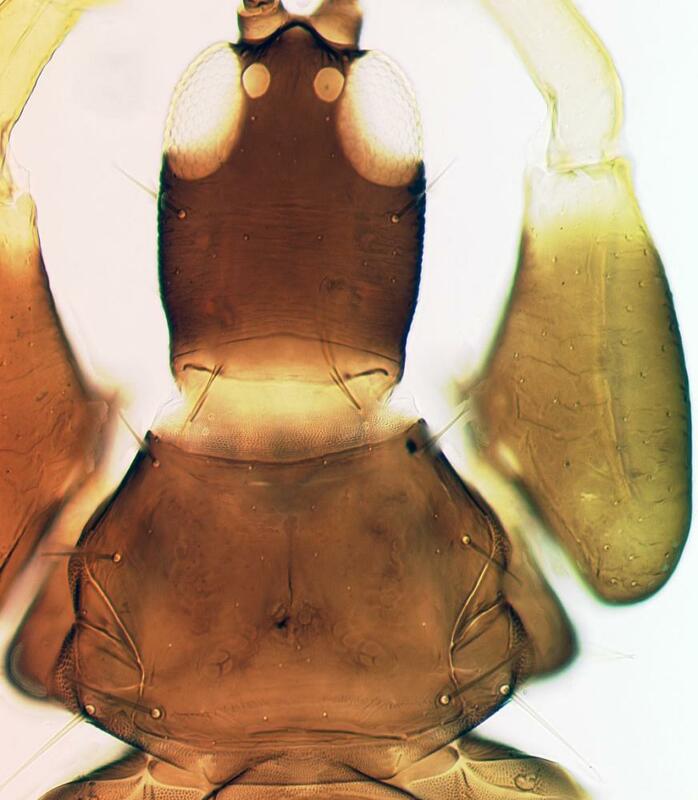 Body and legs brown, tarsi yellow, also fore tibiae and apices of mid and hind tibiae; antennal segment III yellow, IV–VI yellow with apex variably brown; fore wings pale. 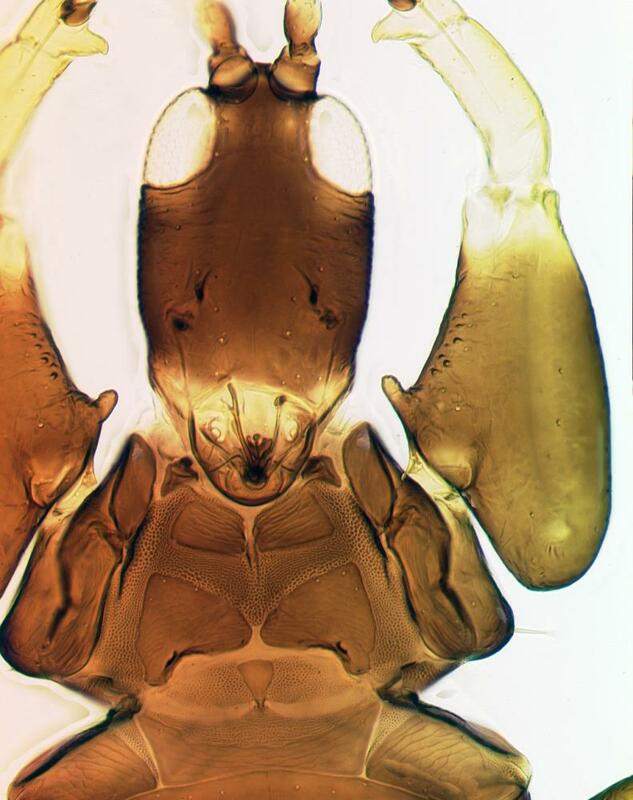 Head slightly longer than wide; postocular setae long with apex weakly capitate; maxillary stylets retracted to postocular setae, about one third of head width apart. 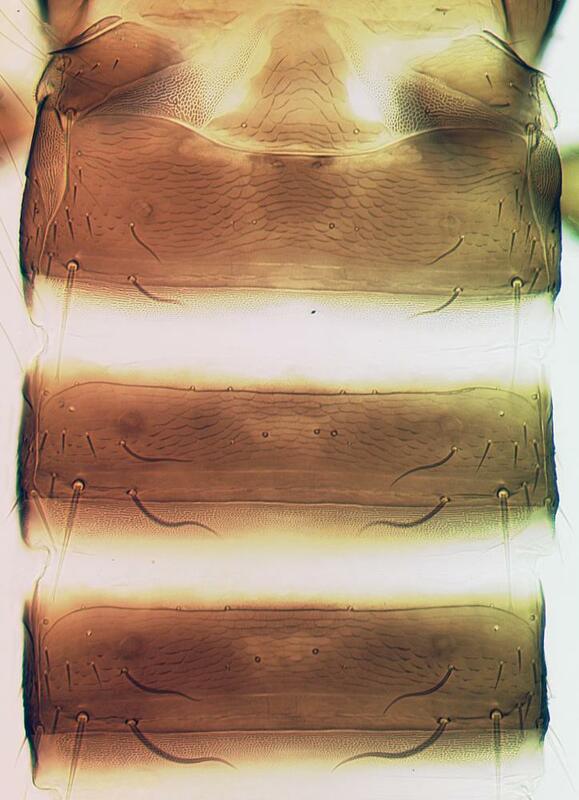 Antennae 8-segmented; segment III with 3 sensoria, IV with 4 sensoria. Pronotum with almost no sculpture; 4 pairs of major setae present, anteromarginals minute; paired prosternal basantra present; mesopresternum transverse. Fore femur often enlarged, with rounded tubercle on inner margin near base; fore tarsal tooth often large. Metanotum with weakly linear reticulation. Fore wing weakly constricted medially; about 12 duplicated cilia present. 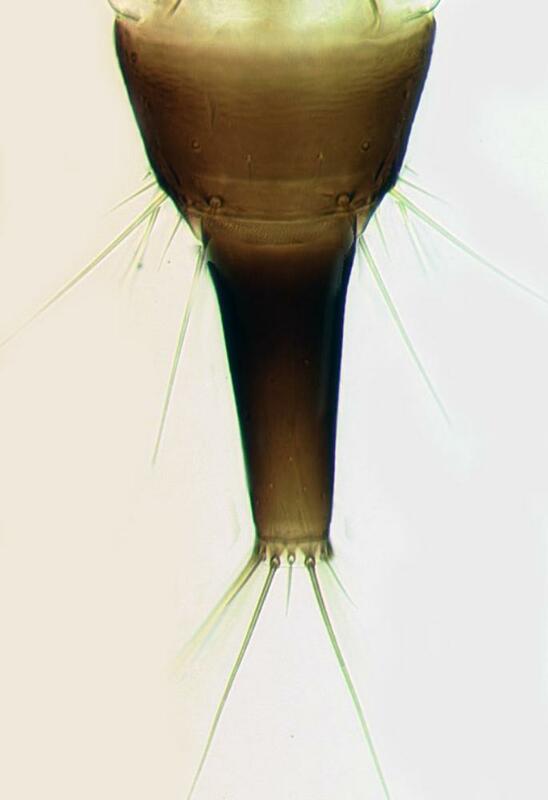 Pelta elongate triangular; tergites II–VII with two pairs of sigmoid wing-retaining setae; tergite IX setae S1 almost as long as tube. Male smaller; tergite IX setae S2 short and stout. The genus Androthrips includes 12 species of which 11 are from the tropics of Asia. These species are similar in structure, and most of them cannot be recognized from their descriptions. A. ramachandrai has the tibiae largely brown. In contrast, A. monsterae Moulton from northern Australia and New Guinea has the tibiae yellow, and Mound & Minaei (2007) suggest that this species is widespread across Asia under other names. Breeding within leaf galls induced by other thrips (Boyd & Held, 2006), on which it is possibly predatory. India; introduced to USA (California, Florida, Texas, Hawaii), the Galapagos Islands, also Costa Rica, Brazil and Argentina.